Well everybody knows the issues of reading and searching in log files. If you have more than one machine it even gets worse. This tutorial describes how to install and configure rsyslog on Debian Etch, but it can be adapted to other distributions. “Rsyslog, the enhanced syslogd for Linux and Unix. In this tutorial we will be building rsyslog from source and write the necessary config files. As you might have noticed we do not import any tables into the db. phpLogCon will do that for us. Since rsyslog has no configuration examples (and files) I’ll provide the examples here. All of these are just default configurations, use the documentation provided by rsyslog to customize the configuration to your specific needs. First the rsyslog configuration file /etc/rsyslog.conf. with the username and password you specified above. Next we create the directory /etc/rsyslog.d – this is needed for additional configuration options (not covered in the tutorial). Now we have all of the configuration files, but we need now to make sure rsyslog is started at boot time in the right moment. Please note that rsyslog is not compatible with klogd and sysklogd which are installed by default. These need to be disabled or de-installed. In this tutorial I will disable them. Issue the following commands to start rsyslogd at the right time during system boot and to disable klogd and sysklogd. This concludes the build and configuration part. You can skip this if you have already installed apache2 and php5. Insert the line above before </virtualhost> or if you have already aliases defined, insert the line there. Note: if /var/www is your server root then you don’t need to create an alias. Restart apache2 to enable the changes. Point your browser to http://yourdomain.tld/phplogcon and follow the steps on the screen. 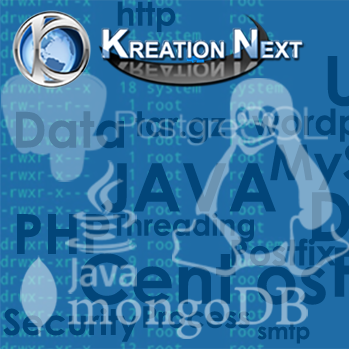 After the installation wizard has finished, the database is populated with all of the required tables and an administrative user is created.